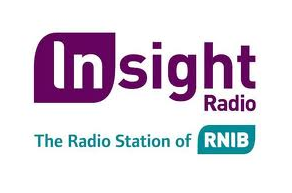 UPDATED RNIB's Insight Radio station has announced that it will cease transmission on Sky channel 0188 and Freesat channel 777* on Monday 9th February 2015. On air and on social media platforms, it is encouraging listeners to make the switch to Freeview channel 730, where the station has had a presence since 1st April 2014. Alternatively, the station continues to be available via mobile and online platforms. "We will provide the same high quality service we have always done. Also we found listeners were confused where to find us, this streamlining of how people can listen to us will make it much clearer how to find Insight Radio. RNIB will always strive to be efficient with budgets and costs to help provide the best service for our customers we can. This change will also help put funds into frontline RNIB services to continue to help support people with Sight Loss and help make lives better every day. With the switch to Digital TV a few years back, nearly all modern TV's now come with Freeview installed and no satellite dish is required either. It's also a free to air service meaning there's no monthly subscription costs using Freeview either. We believe this is the best platform to have Insight Radio to broadcast right across the UK into millions of homes. " Broadcasting 24 hours a day, RNIB's Insight Radio communicates the needs, interests and aspirations of blind and partially sighted people throughout the UK. As well as covering news, sport, entertainment, talking books and social opportunities, in-depth feature interviews and lifestyle programmes address a wide range of issues affecting the blind and partially sighted community. Do we ever get ratings for these radio channels on TV and what proportion of radio listening they make up? Seems like a backward move to me. Satellite distribution is near universal whereas terrestrial DTT is not, forcing those listeners without FV access to listen on line which for those whose sight is impaired could be much more difficult.